Good morning! This is what we are seeing today, even just after noon. The fog is hanging on. I am having trouble feeling very motivated to do much of anything today. This is the kind of day I really could just curl up with a good book under a blanket and read hours away. But...there is too much to be done. I long for...flowers and warm temps. We need some sunshine for flowers and since "THE STORM OF THE CENTURY", or so they say is on the way, I guess I will have to wait a bit longer. The temperature is going to drop forty or so degrees tomorrow. If the Weather Channel is right. 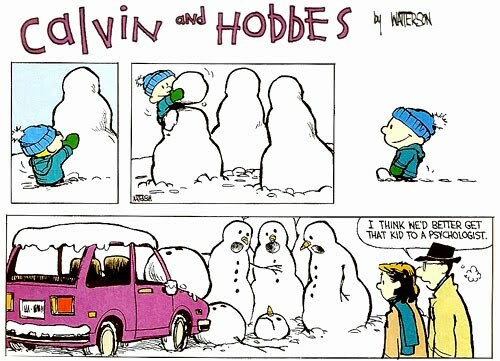 Brrr... Thinking of a good soup recipe and making sure we have enough wood for three days of cheery fires to warm the room and the soul. Sounds good. Good morning! This blog entry should have happened a few months ago... just a little behind schedule! Shocker. 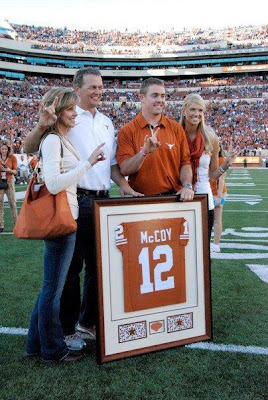 At the UT/Baylor game UT retired Colt's #12. We could not be there but cheered from afar. I love these pictures of the event... The guys look good but the girls look gorgeous! Colt with DaddyBurl and Uncle Gerald. So proud of you Colt. We are loving this warmer Sat. today. I think it is time for a long walk. Good morning! Do you ever have months were things just seem to be in a state of upheaval? When it seems like you get over and through one tough thing and another jumps up? (Knock on wood.) Months like these sure do keep me in better touch with the good Lord and I am ok with that. Our oldest boy is trying to get in better shape to try out for the Aggie football team. He has worked so hard. The tryout is next week and yesterday he pulled a hamstring as he was training on a sprint. Devastated. That is what he was. Sid and I jumped in the car and went to see him yesterday and helped him get into a physical therapist. As you get older you can see from your past the detours that God took in your life and that they were with out a doubt better paths than what you had planned. It is hard to have plans changed when you are so excited and working so hard. We did a lot of talking about seeing the big picture and just trusting in God when things don't go according to our own plans. his biscuit, smile at my mom and ask me how my day was at school. The doc says it is a cold. I'm not buying it. I think this stuff has taken a turn for the worse. I think if we went back in and did a flu swab it would say YES but it just did not look like the flu three days ago. Advil is my friend and... hot tea kleenex lots of blankets cough meds my trusty cold corn pillow and sleep. Hoping to feel more alive tomorrow. Please. Sid is seeking some Vit. D. hoping the sun will help him get well. Chickens below are watching their friends being cooked. I've been watching the birds when I can get up off the couch. They are liking the sun too. 28- You, O Lord, keep my lamp burning; my God turns my darkness into light. 32- It is God who arms me with strength and makes my way perfect. The past months have been really trying for my folks. Mom was diagnosed with diabetes and then Dad had this terrible tractor accident and follow up surgery that paralyzed his vocal cord. We were very thankful to find out why he is coughing and having trouble breathing and eating and talking but now he has to deal with working hard to gain his voice back and trying to get back to normal. I love this blog post from http://smellingcoffeetoday.blogspot.com/ Thought you would like it too! Enjoy! 6. You don't have to win every argument. Agree to disagree..
We just got word that Wes has NO CANCER in his body. Lymph gland was just infected. PRAISE THE LORD!!!! Thank you for your prayers. They mean so much to me. Good morning. We have not seen the sun now in quite a few days. So thankful we have Son shine to combat no sunshine. The carpenter I hired to help me restore an old farm house had just finished a rough first day on the job. A flat tire had caused him to miss an hour of work, his electric saw quit, and now his ancient pick-up truck refused to start. Good morning! This article below was something my sweet sister-in-law Debra sent me a few days ago. It is great. Hope you like it too. Blessings! "God did not give us a spirit that makes us afraid but a spirit of power and love and self-control." "Thank you Father, God for your promises and your comfort." My heart is heavy today and a little fearful but also comforted and starting to feel peaceful. I ask for your prayers for our youngest. The pictures below are at his football banquet last Sat. We are praying and concerned about a health issue with Wes. Psalm 5:3- In the morning, O Lord, You hear my voice; in the morning I lay my requests before You and wait in expectation. Good morning! Just some random thoughts this morning. I wanted to share with you some really good books that some REALLY sweet people gave me for Christmas. Debra and Brad gave us this one. Love and Respect. I am in the second chapter and boy, it is good. Check it out. These books are called "The Potluck Club" books. They are Christian fiction with good recipes and lot of humour and even suspense. They remind me a little of the "Mitford" books except faster and more light hearted. Enjoying them. Thank you Mom! We (I) like to keep a little Christmas alive all year long so I love to leave out this twinkly light jar to enjoy. It makes me smile.